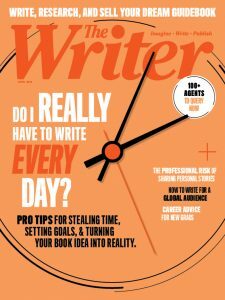 Roy Peter Clark's tips for crafting eulogies is a helpful guide to any kind of writing. When his mother died, he had to put his own advice in action. 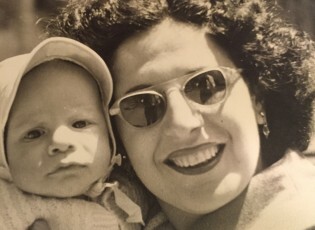 Roy Peter Clark, age 5-months, with his mother Shirley Hope Clark. Clark’s father Ted is reflected in her sunglasses. More than a year ago, Roy Peter Clark at the Poynter Institute contributed “Last Writes,” a story about writing eulogies. He offered tips as well as a very fine example of a eulogy by Thomas French, whose “Elegy for the King and Queen” appeared in 2006 in the Tampa Bay Times. Clark noted that the “scribes” in the family are often tapped to do this difficult and momentous task. And that’s why we were interested in the story. It turned out that writing a eulogy is like writing nearly anything: It requires the discipline of storytelling, research and sensitivity. Last month, Clark, his wife Karen and I were scheduled to meet for breakfast in St. Pete Beach, Florida, not far from where they live. He had to cancel because his mother Shirley Hope Clark passed away at age 95, and he and his family were preparing for the service. Clark, of course, was scheduled to deliver the eulogy. We asked Clark if we could publish the eulogy as yet another example of the importance of storytelling when it comes to representing someone’s life to the larger community. Clark has been an invaluable advisor to our magazine. We send our condolences to him and his family. And we hope you see in his writing the role of voice and carefulness when it comes to being the family scribe at times of loss. You can read his eulogy for his mother here.